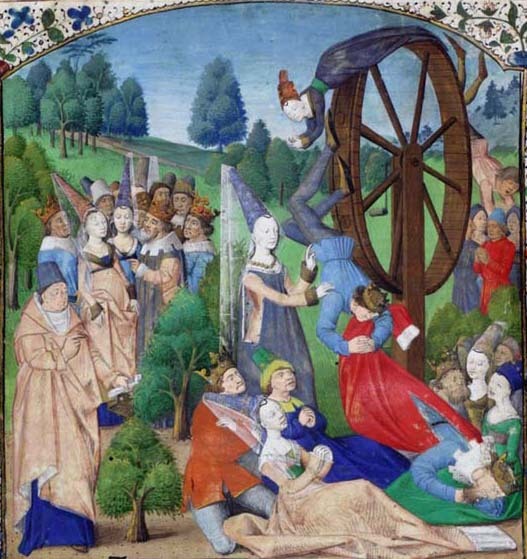 In ancient and medieval times the capricious nature of life was explained by Rota Fortunae or The Wheel of Fortune. Lady Fortune would spin the wheel at random and much like gambling at roulette some players would win and some would lose. Since she was often blindfolded she did not know if the participant was wealthy or poor. The detail of a French fifteenth century illuminated manuscript page illustrates Italian author Giovanni Boccaccio’s (1313 -1375), On the Fates of Famous Men. 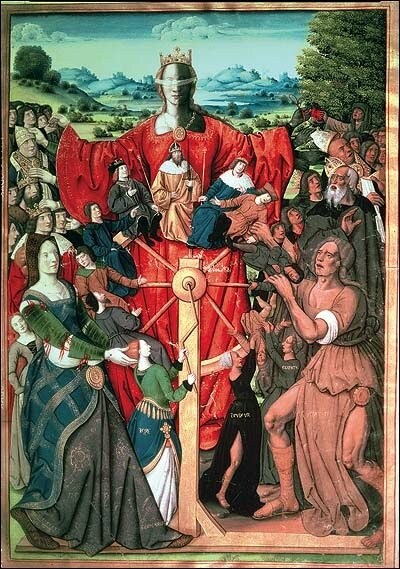 Tarot cards also represented The Wheel of Fortune, including the Visconti-Sforza tarot deck of fifteenth century Milan. 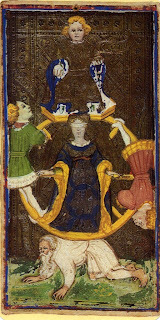 A sixteenth century French painting shows Fortuna not only blindfolded but with the duality of a Janus figure. 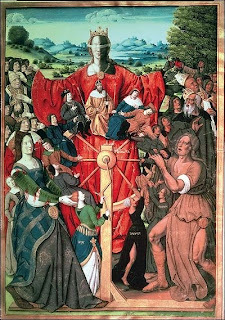 Perhaps that is an interpretation for our times; The Wheel of Fortune as a symbol of endings and beginnings and what is down and demeaned can also be raised up.